Restorative Yoga Teacher Training with Brianna is a wonderful way to deepen your understanding of this healing yoga practice. Over the course of 15 hours, Brianna will teach you how to create complex supports, out of a mixture of props (bolsters, blocks, straps, blankets), so that your students will effectively relax. Friday Evening begins with a Restorative Yoga Practice. Saturday will deepen your understanding of the practice and breakdown how to set-up poses and meet your unique students needs. Sunday will provide you with time for more practice, opportunity to perfect what you have learned, and the experience to practice teach. The best part: this training is limited to FOUR students. In addition you will receive a booklet that provides detailed information about each posture explored during this training. Prerequisite: Minimum 200-hour Teacher Training or with Brianna’s permission. To apply, please send an email to Brianna explaining why you feel this training will benefit you (info@briannabedigian.com). Once your application is approved Brianna will send you an invoice. Brianna has been teaching Restorative Yoga since 2003. 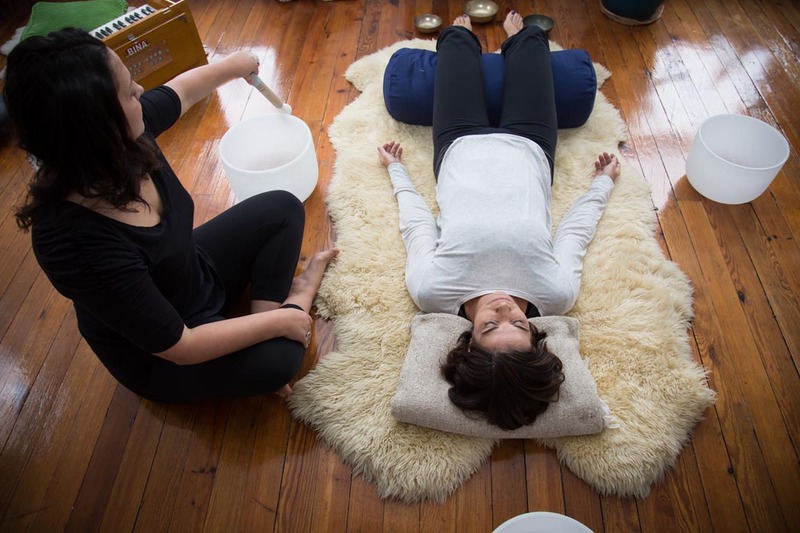 She originally began to practice Restorative Yoga as a way to heal herself from Chronic Fatigue and has studied with both: Judith Lasater and Donna Farhi. She started as a Teacher Trainer in 2006 and since then has led numerous Yoga Teacher Trainings, including the Restorative Yoga Segment for the University of Maryland’s Medical Center’s 500-hr Teacher Training Program.